Want to enjoy the outdoors but not in the mood to be in the midst of a huge crowd? 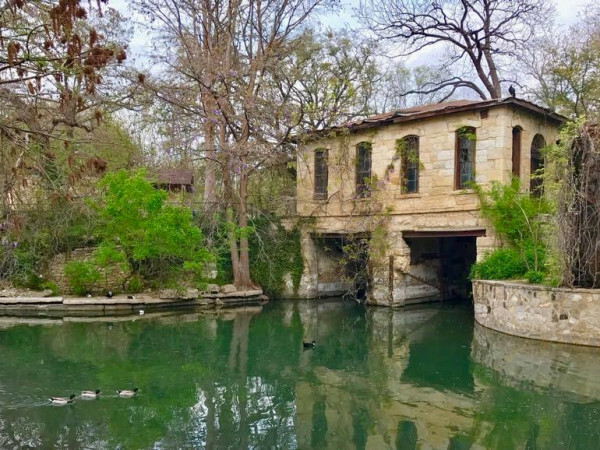 Thankfully, San Antonio has a number of lesser-known green spaces all across the city that make for peaceful getaways. Consider a trip to one of these spots next time you feel like escaping the hustle and bustle of urban life while avoiding the more popular and packed parks. Close to Our Lady of the Lake University is Apache Creek Linear Park, a linear park (which simply means that it’s longer than it is wide) that hugs a portion of Zarzamora Creek. You can find the start of the park’s paved trail at the Lago Vista Village Apartments, and the whole thing is just shy of a mile. 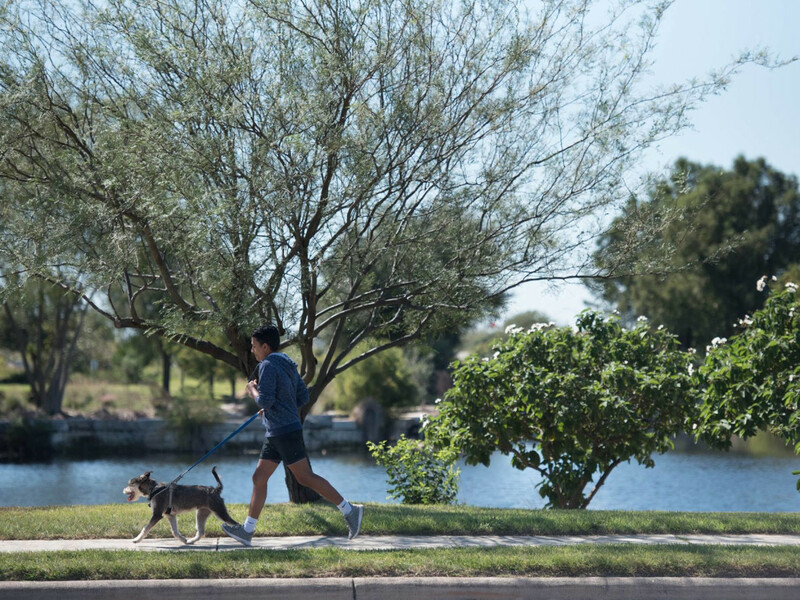 Apache Creek Linear Park is an ideal green space for a leisurely stroll, but if you’re in the mood to get a workout in, you can make use of the few pieces of fitness equipment along the way. You can also continue past the park to follow the Apache Creek Trail south along the water. CHRISpark — 111 Camp St.
CHRISpark, built in 2005 by the Linda Pace Foundation, was designed in memory of Pace’s son Christopher who passed in 1997. While only an acre, this privately owned green space serves as a relaxing oasis in Southtown. Of particular note are the park’s whimsical touches and contemporary artworks, including jeweled stepping stones that depict a nursery rhyme and a small hill of soft grass that’s perfect for tumbling down. There are both local and exotic plant species within the park, all carefully chosen to create unique spaces throughout the environment. CHRISpark is free to enjoy and open from 9 am to 5 pm every day except Monday. Crownridge Canyon Natural Area — 7222 Luskey Blvd. 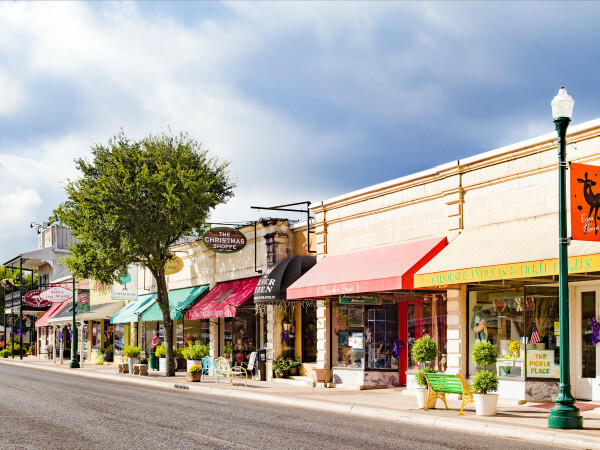 You may overlook Crownridge Canyon Natural Area in favor of the popular San Antonio attractions it’s nestled between — Six Flags Fiesta Texas, Friedrich Wilderness Park, and Palmer Course at La Cantera — but this scenic 200-acre preserve is worth a visit in its own right. A quiet escape, it has two different trails (an easy 1.3 mile route and a medium difficulty .6 mile loop) that weave through a variety of natural habitats. If you’re into birding, keep an eye out for the endangered Golden-cheeked Warbler here. Gorrell Park — 4802 De Zavala Rd. Gorrell Park in the northern part of town commemorates police officer Edwyn J. Gorrell, who was shot by a suspect while on duty and sadly passed away due to the incident. Guided by the Gorrell family’s wishes, the park’s design includes a quarter-mile walking trail along with a playground and picnic areas. These public amenities make the park a pleasant setting for enjoying the outdoors with your loved ones. Newly opened, the Greenline is sandwiched between Brooks and the Mission Reach trail. This 43-acre green space is another linear park with an array of amenities to entertain kids and adults alike. There are trails for jogging, hiking, and biking; giant chess; pingpong tables; a foosball table; fitness stations; picnic tables and pavilions; and a play structure for kids. The Greenline’s terracing ponds, plazas, and impressive public art pieces also help it stand out from other green spaces in the city. Technically in Leon Valley, Huebner-Onion Natural Area connects to the well-known Raymond Rimkus Park and is the location of the Huebner-Onion Homestead, a Texas Historic Landmark that’s also listed in the National Register of Historic Places. Joseph Huebner was an Austrian immigrant who completed building his house on the land in 1862. Since his homestead was on the route between San Antonio and Bandera (and along the way to California), it occasionally served as a stagecoach stop and lodging. Then in the 1930s, the Onion family took over the homestead. Today, the building is part of 36 acres of wild green space with primitive trails for exploring. In the mood for a lengthier hike, jog, or bike ride? 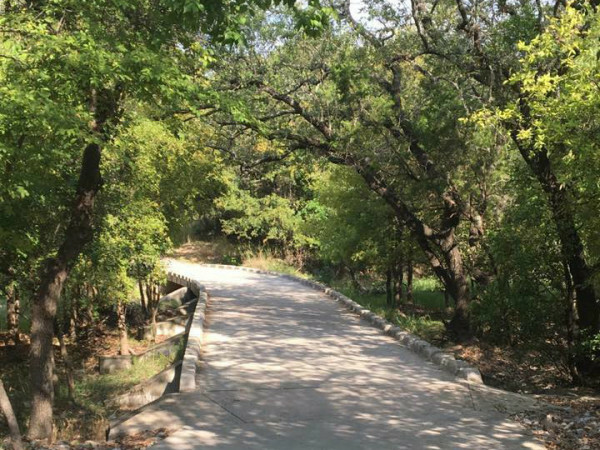 Leon Creek Greenway might be just what you’re looking for. The entire trail is around 20 miles, stretching from Loop 1604 W in the north down to West Military Drive. As you go along the path, you’ll come across a number of other larger parks, such as Bamberger Nature Park and OP Schnabel Park, if you feel like venturing off. While Leon Creek Greenway is paved, it’s easy to lose yourself in nature with the surrounding trees and fields. You may even see a deer or two wandering about, too.